3D or NOT? THAT is the Question! McHenry Software in conjunction with Southeast Accident Reconstruction Society & Dippel Consulting Co., Inc.made a presentation at the 2001 Southeast Coast Collision Conference on August 8, 2001 in Cocoa Beach, Florida. 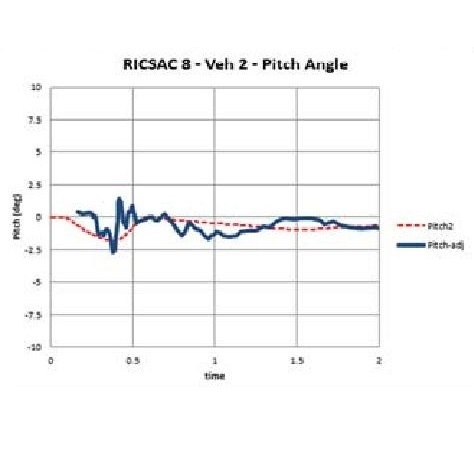 ABSTRACT: The CRASH computer program was first created by Raymond R. McHenry and Calspan in the early 1970’s to assist SMAC users in determining a first estimate of impact speeds. 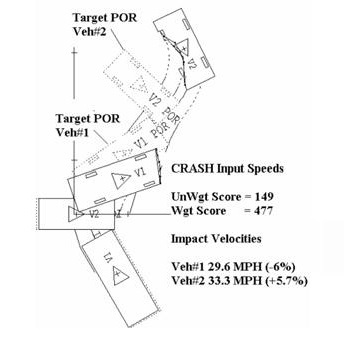 The original CRASH program utilized both piecewise-linear trajectory solution procedures and a damage analysis procedure to provide an initial estimate. The algorithms used in the original CRASH program (and subsequently used in all CRASH clones (e.g., EDCRASH, WIN CRASH, SMASH, etc.) for both damage analysis and trajectory analysis will be presented in detail. Proposals for needed extensions and refinements for CRASH will also be presented and discussed. So far, everything is work pretty good. I just opened the software and quickly explored some of the stuff. I love the vehicle database that you have. Anyway, I am enjoying the new additions and am thankful for how familiar it is to the 2D version. I think this is great that you did these training videos and I hope you keep it up. It is especially helpful when you are jumping between softwares all the time like I am and you need to quickly recall how to use the software. I think its great tool for both newcomers and occasional users. OK, I’ve watched about 6 or 7 videos up to an including the old 5-minute demo. They’re great: instructional, informative, succinct, and well thought out. Some of the sound is louder or quieter between them, but that’s honestly no big deal.Then I loaded/installed the program. All went well and basically installed itself (and kindly even discarded old/unneeded files; thank you.). The projects I’ve tried so far work well and worked as shown in the videos. Changing views and tire tracks and other stuff I’ve tried so far works well. Very good so far! Lots of work there! Looks and works well. When you become a McHenry Software licensee you become our reason for bringing our technology direct to you: to serve you. We will work to make this product what you want. We will work to make our product exceed your expectations. We belong to you to provide you our accident reconstruction and simulation products to help you conveniently obtain an accurate accident reconstruction and simulation. We appreciate your interest in McHenry Software and look forward to serving you. Thank you for your support of McHenry Software. The principals at McHenry Software, Inc. (MSI), Raymond & Brian McHenry, have been active in the field of highway safety research for a combined period of over 90 years. 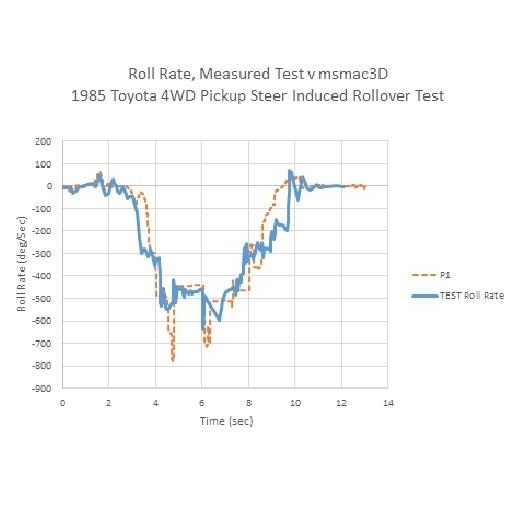 In that time they have performed research for NHTSA, FHWA, NTSB, public and private research organizations and MSI internal development through which they have invented, developed and enhanced the state-of-the art of collision and rollover simulation programs and other reconstruction tools. The programs include CRASH, SMAC and HVOSM which are acronyms for accident simulation and collision reconstruction programs invented by Ray McHenry and on which Ray and Brian have extensively researched, developed and published. These programs form the foundation for many of the accident reconstruction and simulation tools in widespread use today. Ray and Brian have devoted our professional lives working to create and improve accident reconstruction and simulation tools for highway safety and litigation purposes. We have created a user friendly, easily understandable and quickly presentable product. We plan to continually improve and extend the capabilities of the program for you, our McHenry Software licensee. We can best improve our programs if we listen to you, our clients. Let us know what you like about the product, what you don’t like, any suggestions for improvement will be considered and prioritized. Thank you for your interest in McHenry Software technology. McHenry Software will be offering a free 2 week trial of the new msmac3D simulation and reconstruction program. Simply fill out and send in the order form and request a free 2 week trial. We won’t charge your credit card or cash your check. You will be provided a full working version for 2 weeks! At the end of two weeks you simply let us know what you like about the program, what you don’t like, and then whether you’d like to keep the program! Also, we can arrange payment over time programs. Please let us know if you’d like to pay for the license over time and we will send you some options. The pricing for msmac3D and msmac2D is contained in the Order Link at the top. We believe you will find our pricing is value for your money. The principals at McHenry Software, Inc. (MSI), Raymond & Brian McHenry, have been active in the field of highway safety research for a combined period of over 90 years. We have been and will remain at the cutting edge forefront of accident reconstruction technology. With our development of the 3D graphical capabilities we now can directly provide to you our 3D simulation technology. Each and every enhancement and extension will be included in the automatic updates you will receive as a McHenry Software msmac3D licensee. The 1st year for msmac3D will be somewhere between $5000 and $7000 (see the price list in the Order Link) which provided full 3D simulation technology and graphics capability. The msmac3D license also automatically includes msmac2D. McHenry Software charges a reasonable annual license renewal fee to support our continued research and development of simulation, reconstruction and graphical components so ALL our users are using the latest version and we don’t waste time trying to support older versions. For each and every update, fix, enhancement, extension you as an msmac3D user will immediately get notified of an update to download and install. Our msmac3D/msmac2D combo annual renewal fee after the first year will be around $1000. For msmac2D only users the annual renewal will remain $500. Our renewals always include 20% discounts for quick pay. msmac3D and msmac2D will be the main two products we sell and market. No new or differently named product to make you buy something new. Each and every update, enhancement and extension, both of the simulation and the graphics will be included in the active license fee. McHenry Software will work to make msmac3D the complete product for all your accident and collision reconstruction needs. We added the All New Animulation (Ani-mulation is our new word). You define the path as easy as Animation, with multiple segments as you intend, add the speed etc. and the program does the Simulation calculation and plots the simulated path keeping the Target Position as you define. This is not equivalent to Simulation, it is your path with Simulated terrain response. It is not simple terrain following, it is simulated terrain response. And as you know, we are very strong in Simulation. Msmac3D is simulation, not animation, so the results correlate with reality. 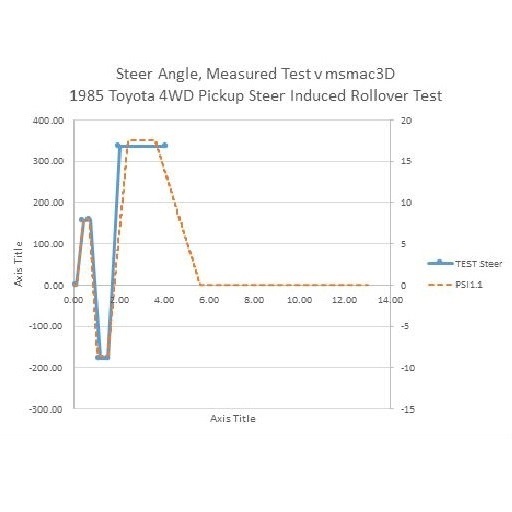 Please review our sample validation simulations and our recent paper “The Proper Use of Simulation Technology for Collision and Rollover Reconstructions and Highway Safety” for additional examples. Q: What is the difference between animation and simulation? Simulation is used in accident reconstruction to test and refine an opinion. Simulations are mathematical models which attempt to apply and follow Newton’s laws of Motion. Simulations can be used as the basis for an Animation meaning the mathematically simulated motion can be used in an animation to move the objects (for example, to move vehicles colliding, etc). CAUTION: Simulations and Animations can also be used inappropriately! The inputs should be fully revealed and checked. See 3D or Not 3D for a presentation of what you need to request when faced with a Simulation or Animation. 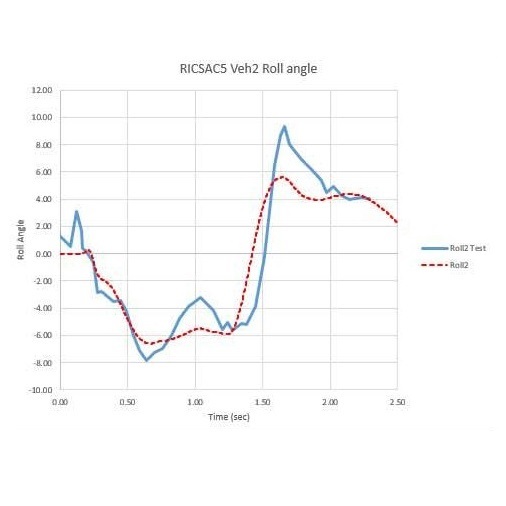 For simulations you also need to verify if the model has been tested and validated and if the type of vehicle movement or collision interaction are consistent with the validations. All too often we find ‘experts’ misusing simulation models. For example see our discussion on the ATB simulation model and our discussion 3D or Not 3D for some related discussion on validation and simulation models. From the web Animation “is the rapid display of a sequence of images of 2-D or 3-D artwork or model positions in order to create an illusion of movement. It is an optical illusion of motion due to the phenomenon of persistence of vision, and can be created and demonstrated in a number of ways. The most common method of presenting animation is as a motion picture or video program, although several other forms of presenting animation also exist”. From the web Simulation “is the imitation of some real thing, state of affairs, or process. The act of simulating something generally entails representing certain key characteristics or behaviors of a selected physical or abstract system. Simulation is used in many contexts, including the modeling of natural systems or human systems in order to gain insight into their functioning. Other contexts include simulation of technology for performance optimization, safety engineering, testing, training and education. Simulation can be used to show the eventual real effects of alternative conditions and courses of action. Key issues in simulation include acquisition of valid source information about the relevant selection of key characteristics and behaviors, the use of simplifying approximations and assumptions within the simulation, and fidelity and validity of the simulation outcomes”. Few hi-lights to show it is easy to use. 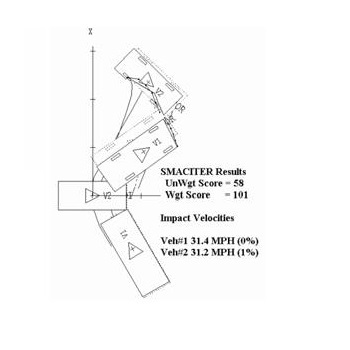 As any SMAC user is aware, many iterations of the SMAC program may be required to go from an initial approximation to an acceptable match of the measured trajectory and damage targets. 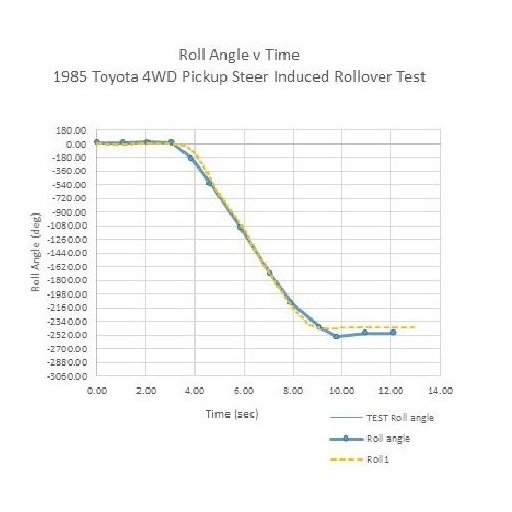 Throughout the iterative process, the impact speeds and impact speed change results may not change significantly. Also, what constitutes an acceptable match can vary widely among users. Sometimes the focus is on a detailed match of the positions of rest; sometimes the focus is on a match of damage locations and extents on the vehicles. There is currently no standardized measure of the correlation of simulation results with the accident evidence. Since the initial development of the SMAC program, there has existed a need to simplify the application process. The ultimate simplification would entail an automatic iteration procedure. Optimization techniques applied to the evidence match can serve to reduce the required time and effort and, also, can achieve greater uniformity of the evidence interpretation. 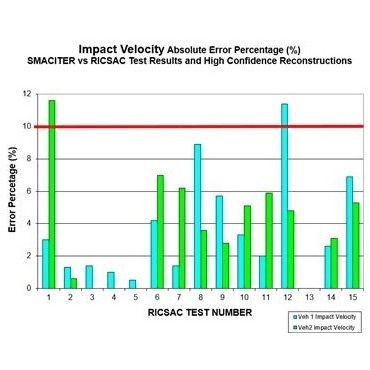 The working hypothesis of the automatic iteration of SMAC is that a unique set of impact conditions is required to achieve an acceptable match of all of the documented evidence (both damage and trajectory). 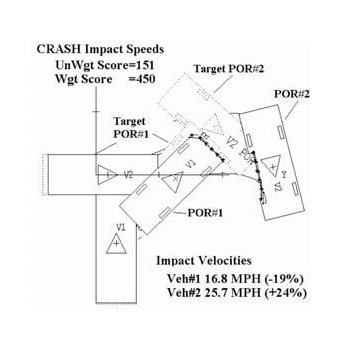 The use of quantitative measures of the overall “fit” to the documented evidence and applications to experimental crash tests provided a means of proving the hypothesis, as well as demonstrating reconstruction accuracy and convergence rates. 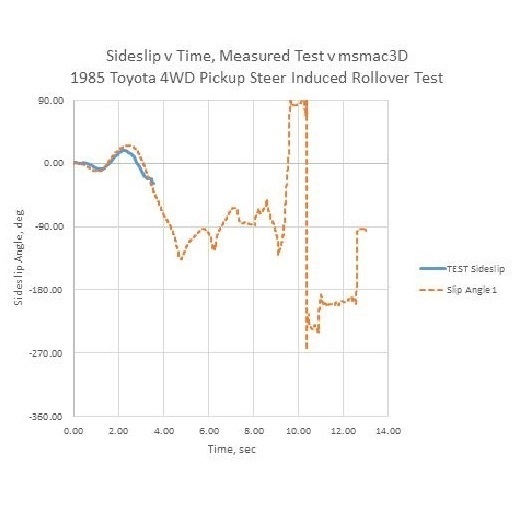 Note that successful efforts on automatic iteration in the msmac2D case were reported in Ref 13 (Fig 20 -23). 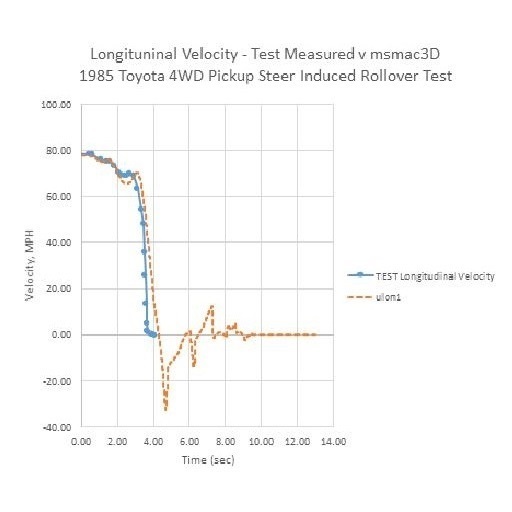 That research proved the feasibility of an automated procedure for achieving a “best match” of measured evidence, starting with CRASH-type linear momentum/damage analysis initial approximations. 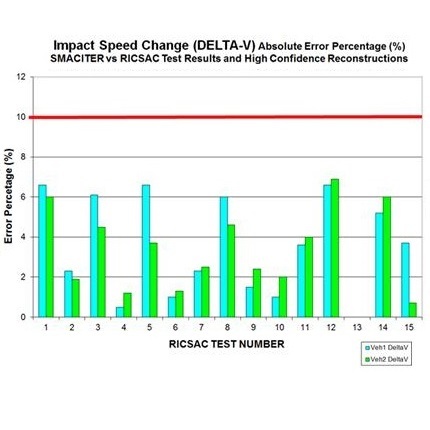 Small deviations from a perfect “match” are, of course, imposed by the existing limitations of the SMAC computer program and by any inaccuracies in the reported evidence. In the reported results the automatic iteration/optimization of msmac2D was demonstrated to successfully converge toward evidence matches in a variety of impact configurations. 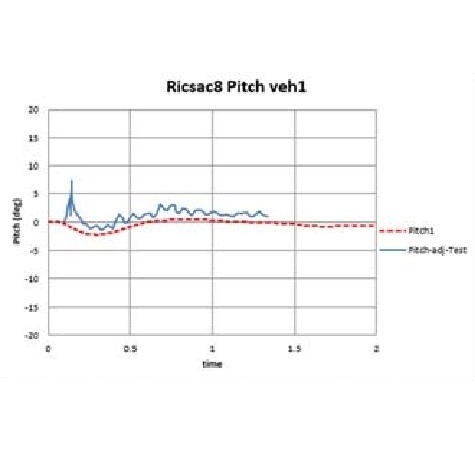 With measured evidence from full-scale tests on flat surfaces the automatic iteration procedure of msmac2D produced correlation of impact speeds and impact speed changes with deviations in individual results of less than approximately ± 10%. 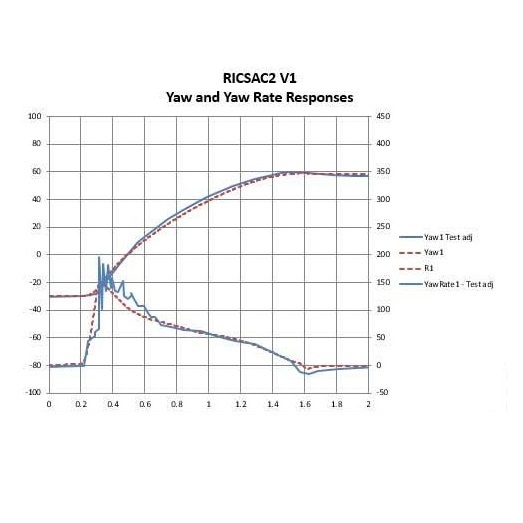 The research confirmed that the initial approximation of the CRASH program, or any proper combination of linear momentum and damage analysis solution procedures, should provide an adequate initial approximation from which an automatic iterative/optimization procedure of msmac2D can be used to determine the impact speeds and impact speed changes within ± 10%. 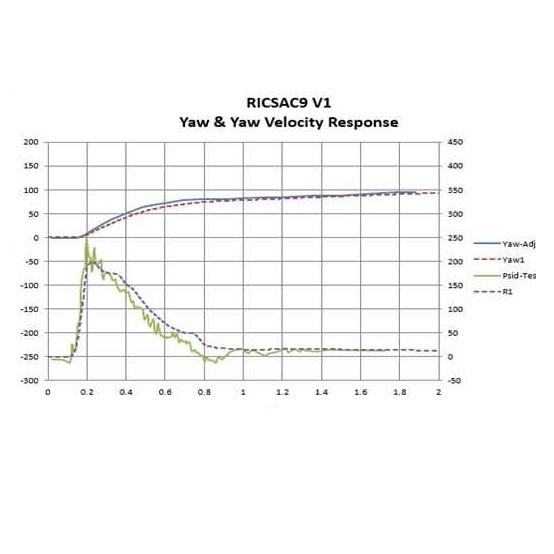 For 3D simulations the only change required was to add automatic iteration/optimization of msmac3D results is to simply have the control algorithms use the msmac3D program instead of msmac2D program for iterating/optimizing towards a unique solution. The msmac3D automatic iteration/optimization program is currently in testing and will be included in the msmac3D release. The msmac3D setup automatically generates all required 3D vehicle input definitions based on the vehicle make/model and any other supplemental information and the user can easily include 3D terrain information if applicable. 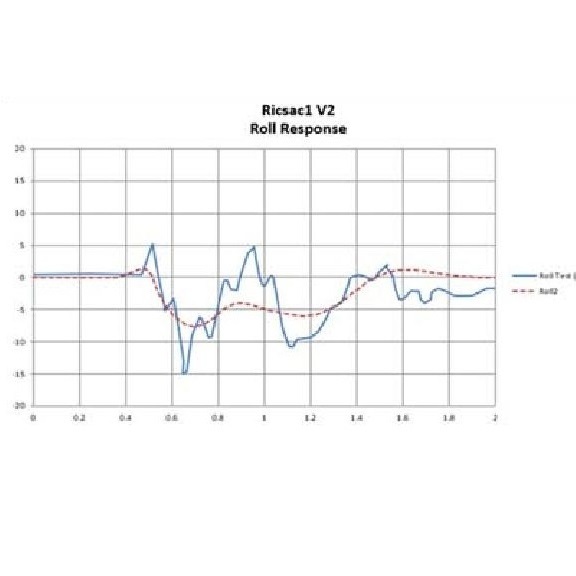 Upcoming extensions of the automatic iteration/optimization routine will be to include comparisons with measured tire mark information and an extension to iterate/optimize on rollover and other single vehicle accidents. 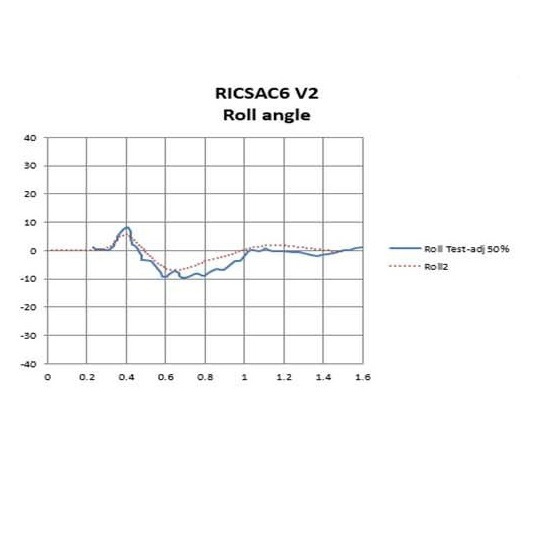 Automatic Iteration solutions of a SMAC Reconstruction of a sample RICSAC Test. 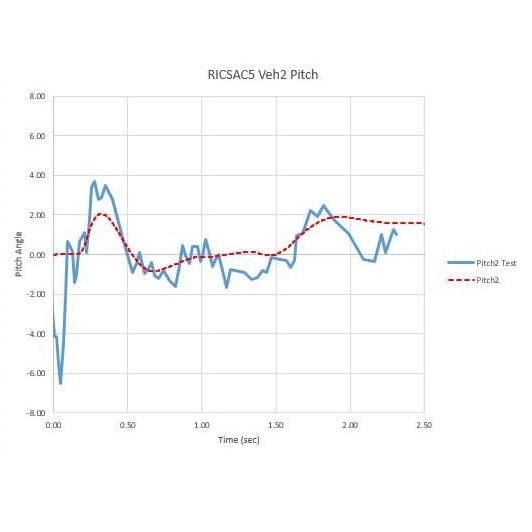 Automatic Iteration Results with Crash Test results on Impact Velocity (first) and Impact Speed Change (second). 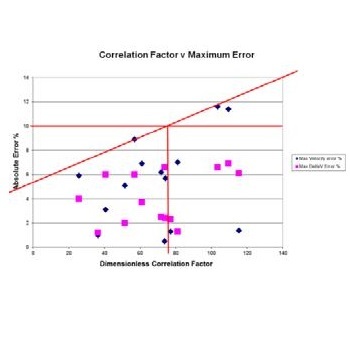 Comparison of msmac automatic iteration correlation factor “score” with maximum error. An obstacle to detailed and scientific simulations in the past has been the complexity of highway vehicles (3D inertial properties, suspensions, tires, structural crush behavior) and the highway environment (geometrics, topography, obstacles). 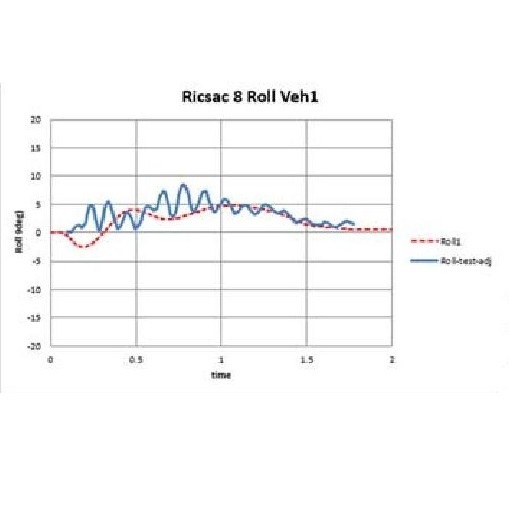 Proprietary extensions of mSMAC3D include routines that automatically generate default approximations for the required three-dimensional vehicle inputs (e.g., suspension & tire properties, roll and pitch moments of inertia) from the plane-motion 2D simulation inputs combined with the vehicle make, model and loading. 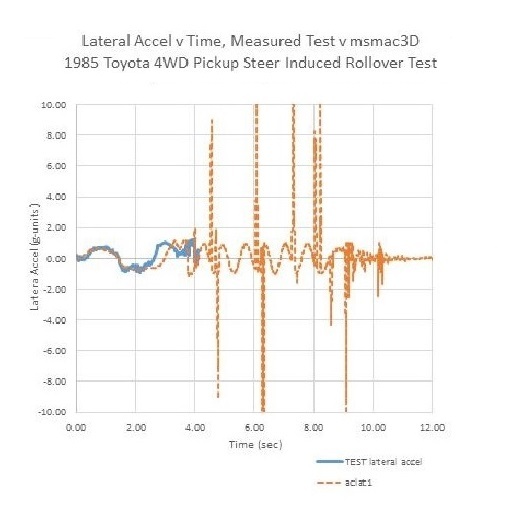 These initial input approximations combined with the ability to overwrite any inputs for which measured values are available provides a comprehensive and efficient setup to evaluate motor vehicle collisions. 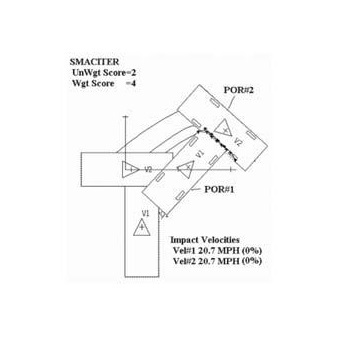 Smith, R. A., Noga, J. T.
A paper will be published by McHenry Software providing more information and documentation on these validation tests shortly after the official release of the msmac3D program. The following are some time history plots of comparisons of msmac3D time history predictions from that IPTM paper with the full scale test measurements. 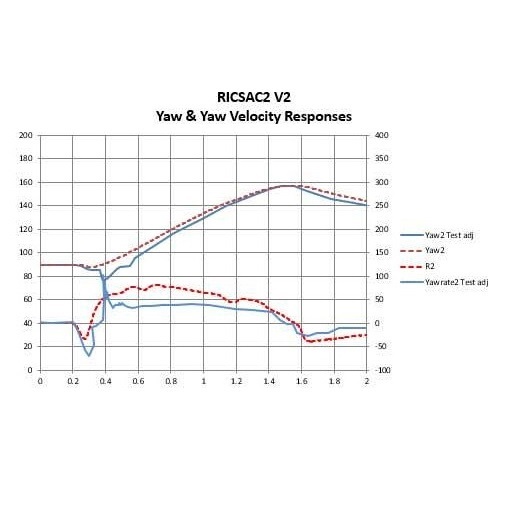 These comparisons demonstrate good correlation of the predicted roll, pitch and yaw responses with the full scale test measurements. 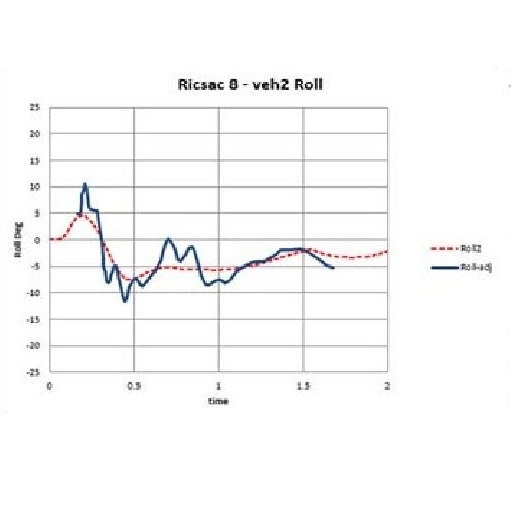 In the Graphs, Blue Solid lines are full scale test measurements and the other dashed lines are the predicted results of mSmac3D. In 1998, Brian McHenry was hired by CBS News to reconstruct the Princess Di accident for the television program “48 Hours”. At that same time Brian had been working on a 3D collision simulation program which combined the collision capabilities of SMAC with the 3 dimensional vehicle dynamics simulation capabilities of HVOSM. Brian was provided the survey information for the tunnel, the vehicle information and we used the program, mSMAC3D, to simulate the vehicle traveling into the Pont de l’Alma road tunnel in Paris, France, and striking the support post (In that tunnel they do not have guardrails in front of the support posts). The results were presented and Brian answered questions in interviews on 48 Hours broadcast on June 11, 1998 and August 31, 1998. The eighteen-month French judicial investigation which concluded in 1999 correlated closely with the speeds and findings of McHenry’s investigation and with the simulated reconstruction with the prototype mSMAC3D. Until the early 2000s, the limitations in processing speed of personal computers limited the continued development of the mSMAC3D model to simple internal research. Since 2000, we have been testing and refining a 3D simulation and reconstruction tool which merges the strengths of SMAC and HVOSM into a single program. New 3D Graphics and graphical Interface for easy input and output and display of results. Automatic generation of 3D inputs based on vehicle make, model and year. 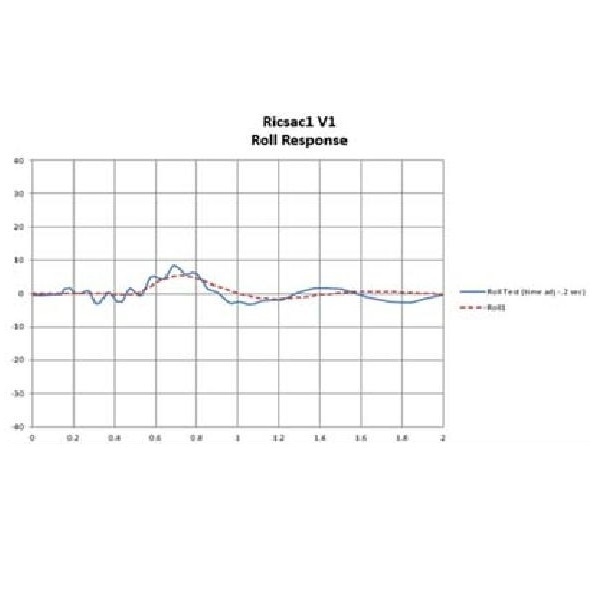 Validation comparisons of simulations based on the automatic inputs have accuracy within ±10% of the measured full scale tests. Msmac3D includes the ability to edit any and all 3D inputs and override the automatically generated inputs. For additional information, please see the features page. For any questions please use the Contact link in the top menu.